What is Partners In Healing? Our call and purpose is to bring the work of Healing into the Body of Christ in every city and nation. In order to further this vision, the Partners In Healing program was established. Healing must impact the Body of Christ before the Body of Christ can impact the city. You help to establish the Kingdom of God on earth as it is in Heaven! To bring Healing to God’s people globally. helps to continue the work of this ministry. To establish Healing Rooms around the world. To train, equip and activate healing ministers for the work of the ministry through classes and conferences. To introduce the hurting to Healing through the love and power of Jesus. To edify God’s people through cutting edge materials that release fresh manna from Heaven. Leaving a legacy of Healing Rooms Ministries to the next generation. Investing in this ministry means you are joining with us, according to Matthew 6:10, to establish His Kingdom on earth as it is in Heaven, thereby fulfilling His will as we mobilize together in Unity of Spirit as the victorious Bride of Christ. 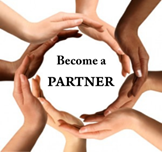 What Are The Benefits of Becoming a Partner? Once your email is submitted as a Partner, you will find a tab on our website marked “Media”, which gives you free access to view all of our videos. Receive our monthly Journal of Healing via email with a word from Cal, recent testimonies, Spirit-infused stories and recommended reading. Every Partner is included in our Prayers of Intercession. Free “On Demand” web teachings and videos. 15% discount on all products in our online or onsite Bookstore. We welcome you to financially Partner with our ministry with great joy, knowing that you are truly investing in the Kingdom work of Heaven on earth where the sick are healed, the blind see, the deaf hear and the captives are launched into their destinies! Both are crucial for fulfilling this commission!